The festive season is all about gifting. And there are many options to do something good for children who aren’t as fortunate as us. So, why not we bring a smile to their faces and make this Diwali the brightest of all for them? 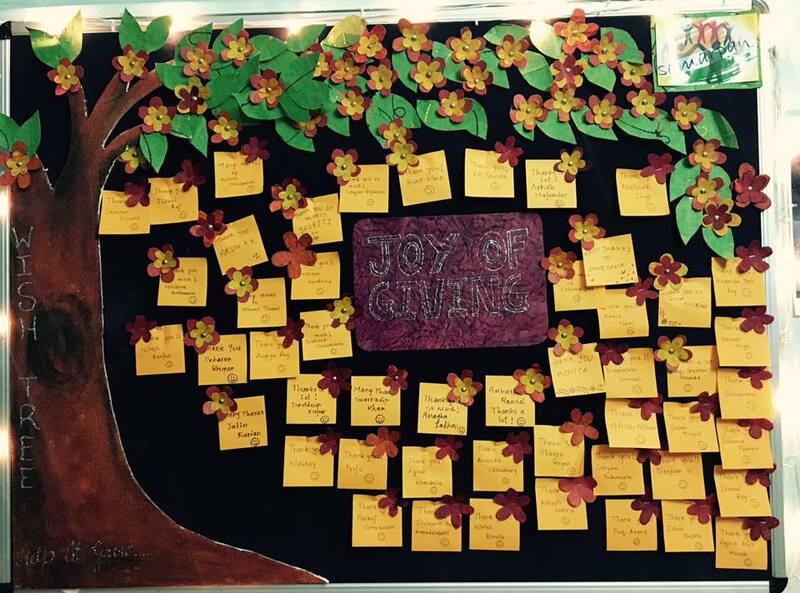 SAMARPAN, The CSR Club of IIM Ranchi has come up with a unique and special initiative called “Joy of Giving” which promises to do just that. They have collected wishes of children from “Kshitish” which is a school for differently abled children and “Sahayak”- IIM Ranchi facilities staff and have used their managerial acumen to make these dreams a reality through an innovative Silent Auction and also via direct sponsoring. For the Silent Auction, participants can provide any product/professional services for an opening auction price. After having details of offered products and services, an auction will be organized and the highest bidder will buy the product/services. The proceeds from the auction will go to “Joy of Giving” and account of collection and expenses will be shared afterwards. The collected amount will be directly used in fulfilling the wishes of these special children and in making this festival of lights make their lives shine with care and love. The idea behind Silent Auction is: Everyone gets a chance to bid for rare products and services which might not be available otherwise and in turn contribute for such a noble cause of lighting up a child’s life this Diwali. The day will also be lined up with lots of other fun activities like Painting, Rangoli Making, Crafts and Games. So, lets join this wonderful initiative by the students of IIM Ranchi and lead by example to show that a responsible manager is one who leads in bringing change in the society, thereby making the world a much happier place.